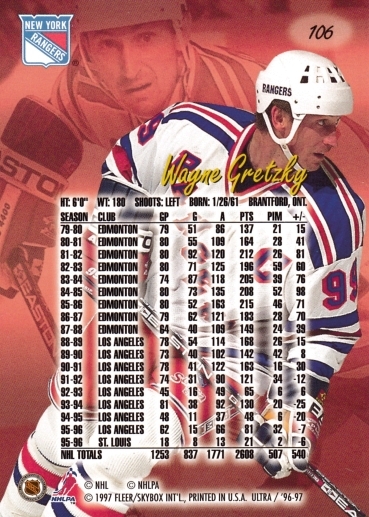 The Fleer Ultra 1996-97 set of 180 cards is now part of the Hockey Card Cyber Museum. 1996-97 Fleer Ultra features full-bleed graphics, veterans and rookies, all organized by teams in a single series. 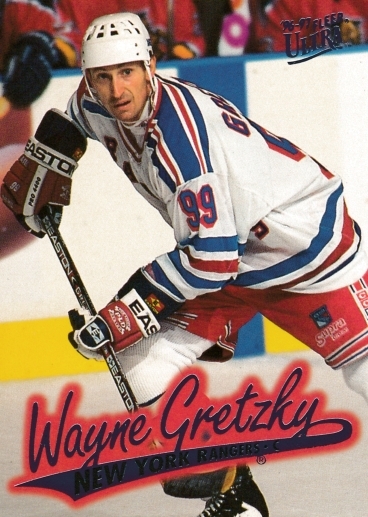 Rookie cards include Mike Grier, Dainius Zubrus, Patrick Lalime and Ethan Moreau.